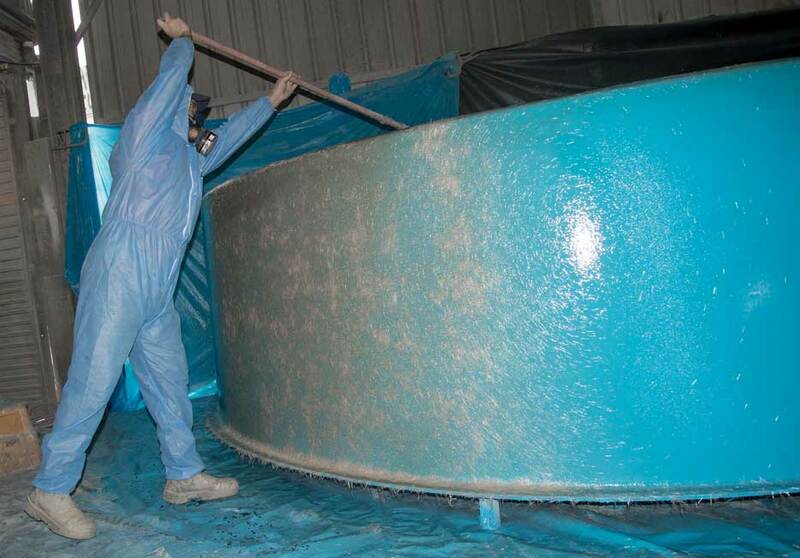 "FRP (Fibreglass Reinforced Plastic) is still often the preferred material for tanks in the Aquaculture, Aquaponics, Chemical and Water Treatment Industries"
FRP has much higher tensile strength qualities than poly. This ensures extra strength and rigidity. High tech composites can be easily engineered for most applications. Contact our experienced team today to discuss your needs. FRP is perfect for one-off tanks, mouldings or proto-types. Contact our experienced team today to discuss your needs.